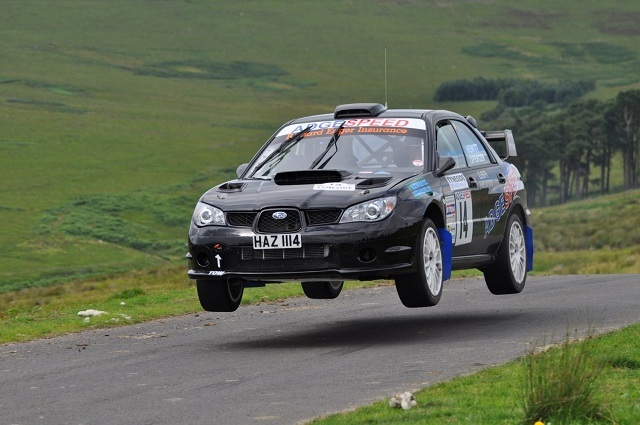 Last weekend and Adrian Spencer along with co driver mark Hewitt returned to the MSA National Asphalt Rally championship on the Tyneside Stages over the MOD ranges on Otterburn. After the problems encountered on the Mini Epynt Stages the team were hoping for better things, however as usual in rallying this proved not to be the case. The rally started in sunny conditions after the threatened rain didn't appear, but a too soft choice of tyre compound meant an argument with a bale at a chicane and 15 seconds lost and some very minor damage to the car. However on the 2nd stage things got worse when a turbo pipe split causing the turbo over spool and destroy its self. Adrian and Mark limped back to the service area and they were forced to retire as they went OTL while the service crew changed the turbo. With the car back to full health, the organisers allowed Adrian and Mark to carry on running at the back of the field for the remainder of the rally, although not in the rally itself they were at least able to get some valuable practice. 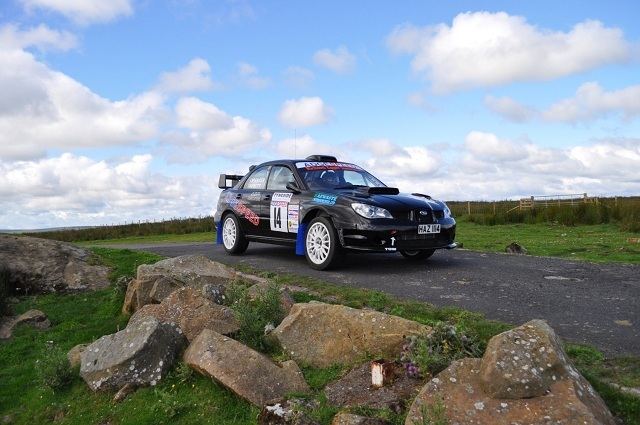 The team are now looking forward to the Mewla Rally on the 29th August over the MOD ranges of Epynt. Photos courtesy of Mark Fisher.